The Volunteer Association is a non-profit organization of volunteers of Fire District 5. We are responsible for representing you and your interests as Volunteer FF/EMTs. We are also a consulting committee to the Board of Fire Commissioners and to the Fire Chief. Some of our more important projects include supporting local youth, funding scholarships to local students and District 5 Firefighters, and we have also donated to families in crisis who have lost their homes to fire. Please join us at our meetings. They occur a little more than quarterly. We appreciate your input, experience and a just little bit of your time. Our activities and projects are only successful because of your help. And many hands make light work. The official name of our association is the “Always There and Dedicated Volunteers of Grant County Fire District #5.” This is a unique and appropriate title for us. When the tones drop you grab your gear and head to your station. We each do this for different reasons. We love it, feel we need to serve our community or it’s just what we do. This Association is supposed to represent you, the volunteers. Catch a meeting or talk to one of your Association Officers. We want to know what’s on your mind. See you at the next one. We have many duties within the fire service, many hands make light work. Interior structural fire fighting is not a required duty for all volunteers, please don’t let this deter you from applying. 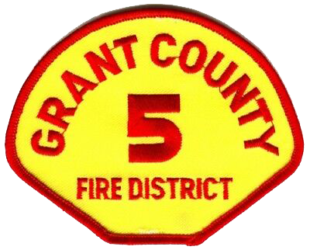 Grant County Fire District #5 resident program provides individuals who meet qualifications to live in one of our 4 resident stations as their primary residence. Resident firefighters are provided with housing, internet access, tv, utilities and laundry machines for use. They provide their own food and linens. Resident firefighters are held to a higher standard of commitment based on this. Resident firefighters must attend weekly Thursday night trainings 1900-2100hrs and must cover approximately 10 shifts per month. While on shift residents are required to respond to calls and have basic chores to be completed. The night shifts are 12hrs 1900-0700 on an assigned shift with one of the Captains that work a 48/96 schedule. Your shift would look like this XXOOOOXXOOOOXXOOOOXXOOOO Resident firefighters are required to take and pass our Recruit academy (February-June) and obtain your Washington State EMT-B certification within 12months of moving in as available (EMT Class is provided September-January). When full this program provides 26 firefighters to the district. This program has produced many Per-Diem firefighters within our agency and given firefighters the training/experience they need to be hired into the fire service anywhere in the United States. We have produced many high-quality firefighters from this program who are scattered across the country in both career and volunteer positions today. We also have had many students utilize this program while they attend Big Bend Community College for free housing while working on their degrees for other careers. The Fire District provides several additional benefits to you in addition to those from the Washington State Board for Volunteers. These additional benefits are paid directly by the Fire District. Through the Fire District's insurance provider VFIS, we provide coverage above what the State disability program provides. 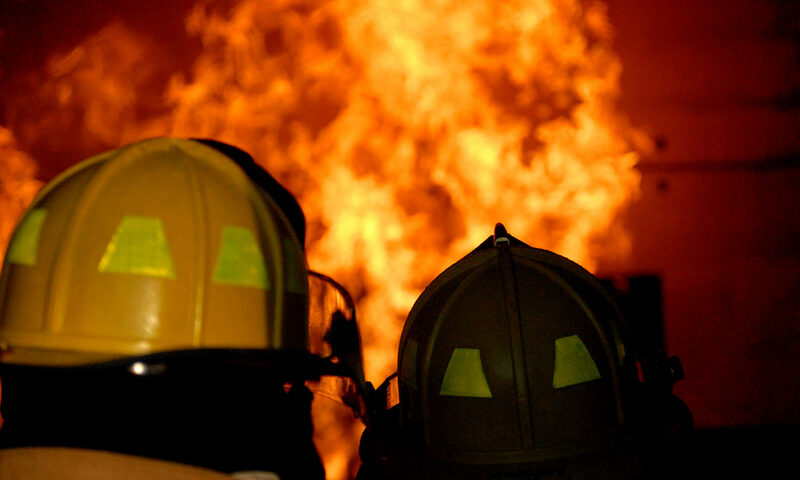 The AD&D program provides an additional coverage in the case of death or dismemberment as a result from performing Fire District approved activities. It also provides for additional payments if time is lost from your regular job. In addition to the loss of life benefit, there is coverage for dismemberment injuries, vision impairments, permanent physical disabilities, cosmetic disfigurement from burns and exposure to HIV in the amount of $75,000. If you do receive an injury or illness that is a result of activities at the Fire District and lose time from your regular job, this package provides additional supplements to the Washington State Board for Volunteer payments. It can also be used to provide coverage for medical bills that may not be covered by the State disability program. The Fire District also provides a subscription to the Life Flight Program that provides a writeoff program for costs associated with using their service. The Life Flight program also provides for coverage for certain members of your family. Please see the Life Flight brochure for more detailed information. The Fire District participates in the Washington State Board for Volunteer Fire Fighters pension program. The pension program is designed to provide members with incentive to stay active, keep up participation and remain longer with the agency. The pension program is paid 100% by the Fire District for each member that maintains the required participation level. The cost per individual member is $60.00 per year. To become vested (eligible to collect retirement), you must serve as a volunteer for a minimum of 10 years. The amount of pension vested increases for each additional 5 years of service. The maximum vesting for the pension system is 25 years. When you retire, there are a few items that are considered. First is numbers of years of service. If you served 25 years, you will receive 100% of your pension. For service years 20 through 24 it is 75%, years 15 through 19 it is 35% and for years 10 through 14 it is 20%. Second is the number of payments. If you maintain the participation requirements for the pension system, the Fire District will make your annual payment of $60.00 and you will receive service credit for the year. If you fail to meet the minimum, no payment is made and you will not receive service credit into the pension system for that year. The last consideration is your age. The pension system is based on an age of 65 years when you start collecting. The maximum payment at 65 years is $300.00 per month (25 years, 25 payments). If you wish to collect earlier, you can, but at a reduced rate. For instance, if you are 60 years of age & you choose to retire, it would be reduced to 60% of your base pension at age 65.